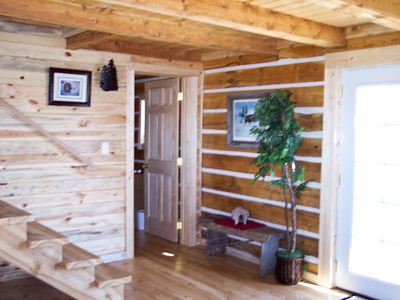 The Gatehouse is our Dovetail log cabin. 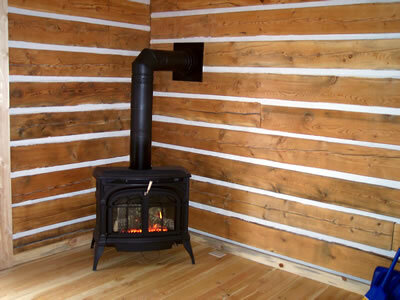 It has been constructed with dovetail corners and square logs. 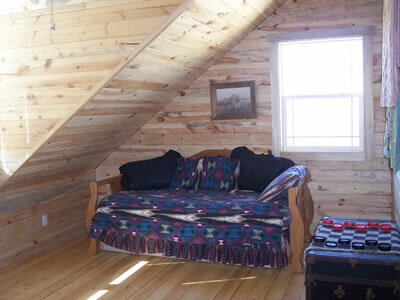 The uniform chinking gives each room a unique look. 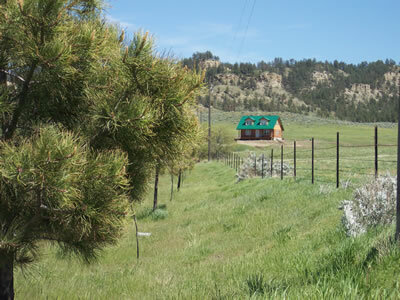 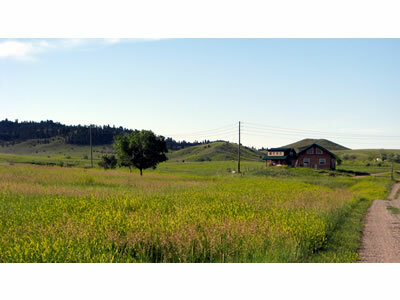 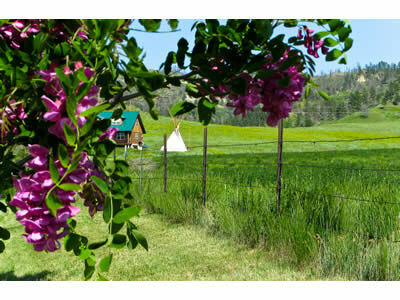 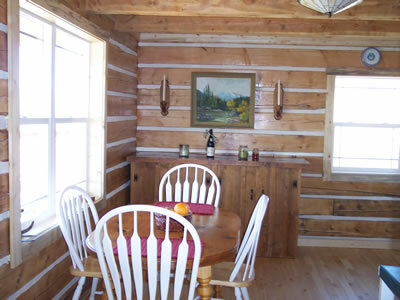 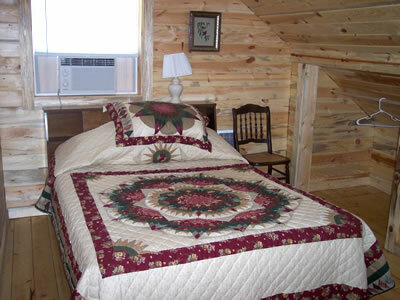 It is a two story home, our largest cabin, with 2 bedrooms, and 2 baths. 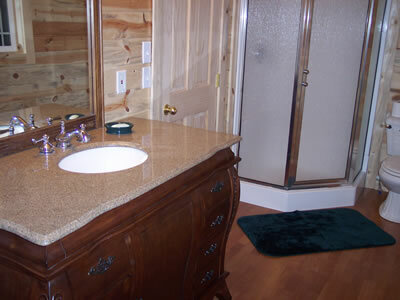 The master bedroom and second bedroom both open into the upstairs bath with a beautiful granite sink cabinet and corner shower. 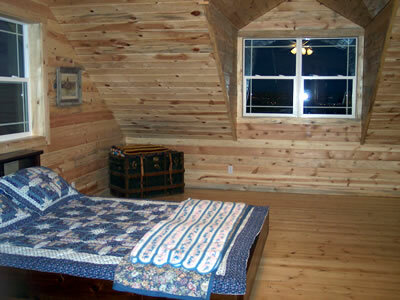 The bedroom has a large window dormer with a fantastic view of Billings' night lights. 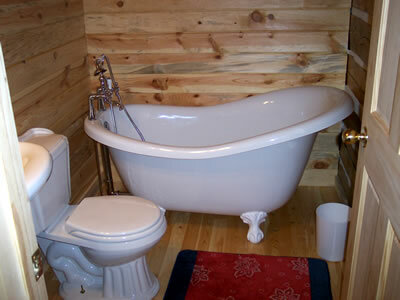 The bathroom on the main floor contains a wonderful claw foot tub for great long soaks. 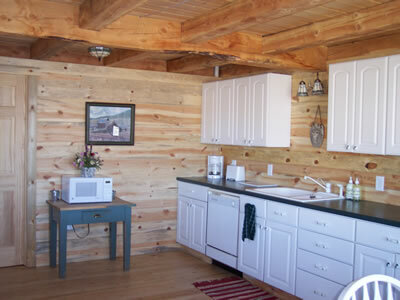 The large country kitchen has lots of counter space, and a dining area. 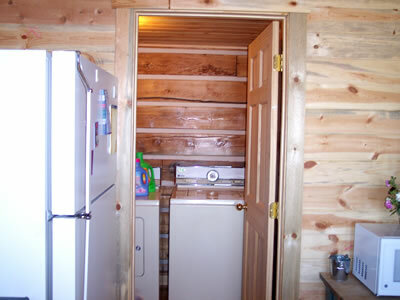 The separate laundry room opens off the kitchen and contains a washer and dryer. 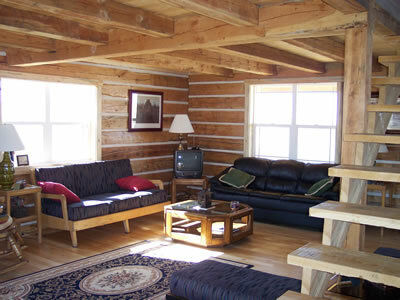 The living room is spacious with a free standing stove in the corner for romantic winter heat. 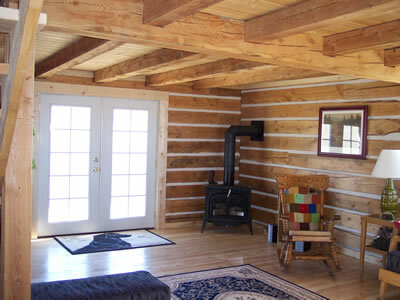 The living room french doors open up to a small deck with fantastic views of Eagle Cliff Ranch.